↑ "Highlights from 'Communications 2007/1'". Association Montessori Internationale. Archived from the original on December 14, 2007. Retrieved May 2, 2013. ↑ Hainstock, Elizabeth G. (1997). 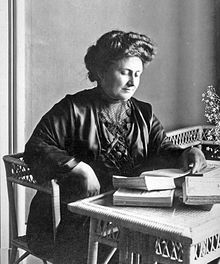 The Essential Montessori: An introduction to the woman, the writings, the method, and the movement. New York: the Penguin Group.